Noun.1: A change in circumstances for the better. 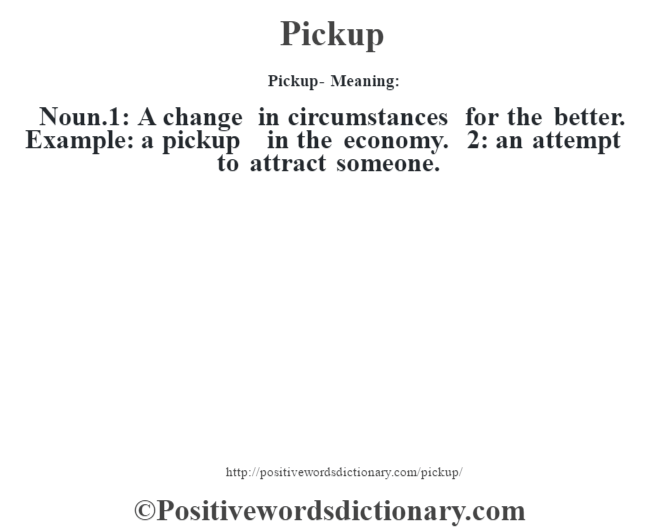 Example: a pickup in the economy. 2: an attempt to attract someone.